Home > green design > As goes the asphalt, so goes the nation? As goes the asphalt, so goes the nation? Two recent paving projects featured in the April edition of Roads & Bridges magazine tell the tale of a new, greener future for civil engineering specifications relating to asphalt projects. The use of recycled asphalt shingles (RAS) is gaining speed after a test in King County, Washington, where a 2 mile long stretch of roadway was overlaid with a 2-in.-thick layer of hot-mix asphalt (HMA) containing both reclaimed asphalt pavement (RAP) and recycled asphalt shingles (RAS). The goal was to show that the addition of the shingles to the HMA had no significant negative impact on pavement performance, and the early testing seems to bear that out. Locally, North Carolina (NC) has a standard specification that allows RAS from manufacturers’ scrap only. The regulations on RAS for other states can be found here. The use of a new Re-HEAT process in Greenville, Mississippi enabled the city to repair over 43 streets (versus the 20 streets originally planned). 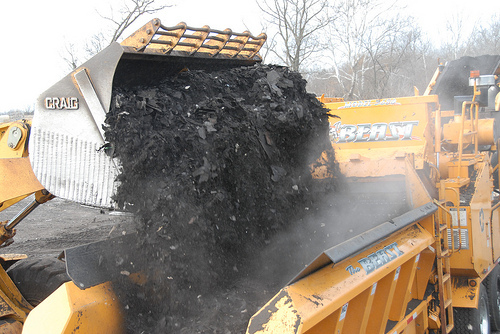 The Re-Heat process, which is an on-site, in-place pavement rehabilitation method that consists of heating existing pavement, removing surface asphalt, adding a polymer-modified asphalt-rejuvenating emulsion, and re-laying the recycled material, followed by conventional compaction. In addition to cost savings, the Re-HEAT process was faster and had an 80% smaller carbon footprint. A win-win? Are these green projects which can save the greenbacks? It is, assuming all goes as planned. Or, it can be a win, assuming all parties are aware of, and have given informed consent to, the risks associated with the use of experimental or new construction methods and products. The lawyer in me can’t help but see potential litigation issues. With some careful crafting of the construction documents and contracts, however, it can indeed be a win for all involved. What are your reactions? Have you specified or used RAS or a re-HEAT process? Share your thoughts below. Photo: D4647_CM032 via MoDOT/Creative Commons license. Its great to hear of the 2 new processes that you have described above (Re-Heat and RAS). If the proper testing and quality control is in place to ensure a quality product (we cant continue to pour new asphalt every few years due to the cheapest bid acceptance policy most all goverment agencies practice) it makes sence that it would be a good alternitive product. With the need to improve and reduce needless spending (remember fuel) it appears with the limited knowledge I have on the 2 processes to be an acceptable risk to try additional test roads to fine tune the installation process and applications. Thanks Jeff for your comments!